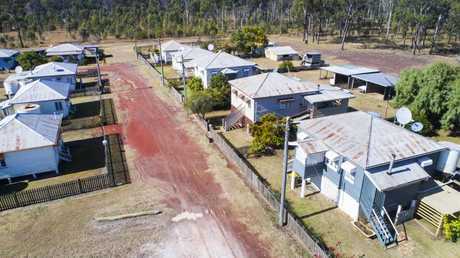 MEET Queensland's newest property 'moguls' - the Harley Davidson-riding grandparents who bought Allies Creek, a deserted town that went viral when it hit the market for $500,000. On the cusp of retirement, an excited Karyn Peeters, 58, and husband Peter, 60, beat hundreds of others to land the keys to the town for $550,000. 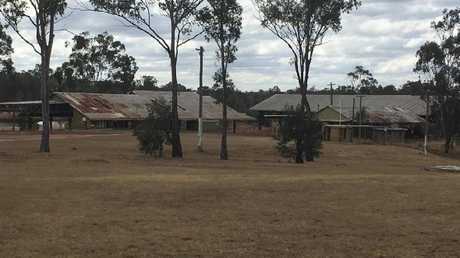 In an exclusive interview with News Queensland, the Peeters expected to spend around $2 million over two years to create a retro tourism mecca that their friends, family and six grandchildren could be proud of - but which could also be shared to "save the bush". 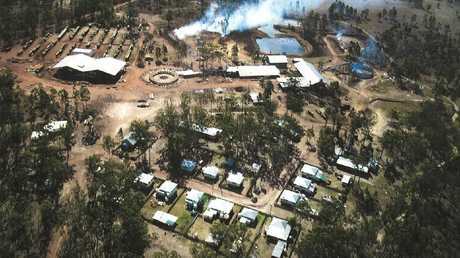 Reconnaissance pictures of Allies Creek in Queensland supplied to The Courier-Mail. Picture: Karyn Peeters. "I'd say to get the complete park up and running - two years," said Mr Peeters, a builder who also has a stake in a roofing and steel business. 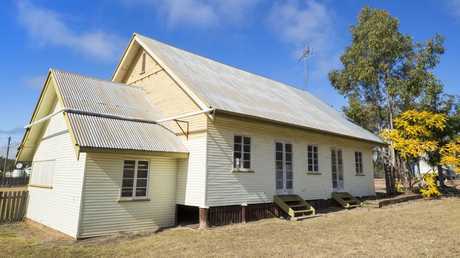 Complete with its own church, lake, sawmill, two whole streets of houses and four large sheds, the resurrected town was expected to offer the charms of "yesteryear all around the property". "We're going to have a bar and recreation area which will couple up with the church so we can have weddings, and also for the weekend people who want to come and visit." They hope the first wedding will be that of their daughter - who became engaged yesterday (Friday). The original church at Allies Creek which Mrs Peeters plans to resurrect with the help of her leadlight glass skills. Picture: Lachie Millard. 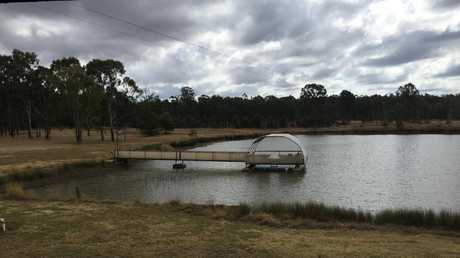 The previous owner put in a large pontoon that’s perfect for romantic drinks, cocktails or even wedding vows. Picture: Karyn Peeters. 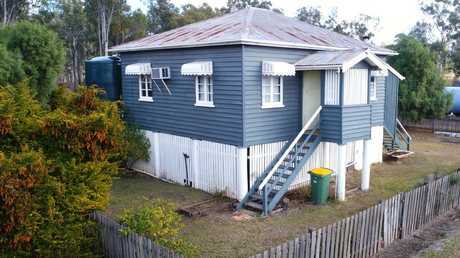 Mr Peeters, who's currently constructing 10 units in Brisbane, has already sent tradies to the town to kickstart the project. 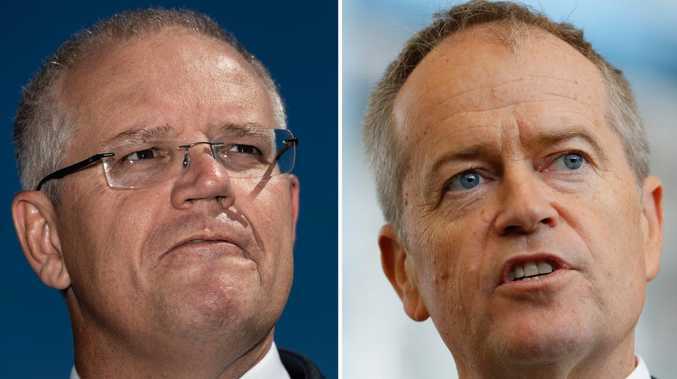 His wife, Karyn, who grew up in the Queensland Outback at Julia Creek - north of Winton's famous dinosaur trail - said it was "the peacefulness" of Allies Creek that struck her first. "I just love the calmness of the place and it just felt like we were going back in our youth and coming home." Apart from adding new facilities for laundromats, caravans, and a commercial kitchen, the talented couple plan to hold workshops for mosaic-making, leadlight windows, small carpentry and timberwork. Mrs Peeters will resurrect the leadlight windows in the church herself, and also oversee the authenticity of the retro-renovation - turning back the clock with 21st century conveniences. 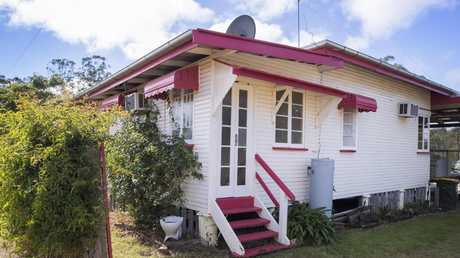 Pretty in pink ... the homes brought back nostalgic feelings for the new owners. Picture: Lachie Millard. "We hope down the track to attract the grey nomads and the motorcyclists and we're going to try over time to create a little bit of something nostalgic," Mr Peeters said. 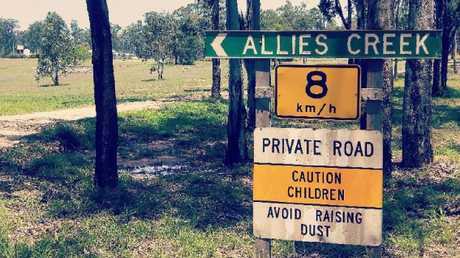 "It's only four and a half hours from Brisbane so it's an easy day ride if you want to do nine hours, or we would prefer you stay overnight at least." 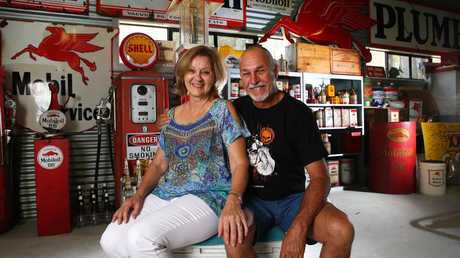 The couple hope to attract craftspeople to be a part of recreating the vintage town. 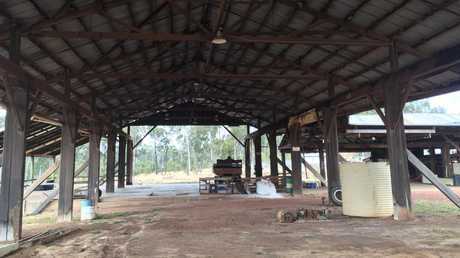 This shed will be turned into an enormous pub and recreation area. Picture: Karyn Peeters. Vast flat space that’s been allocated for use by grey nomads and families on caravan holidays. Picture: Karyn Peeters. The exterior of the old sawmill reflected in the Allies Creek dam. Picture: Lachie Millard. 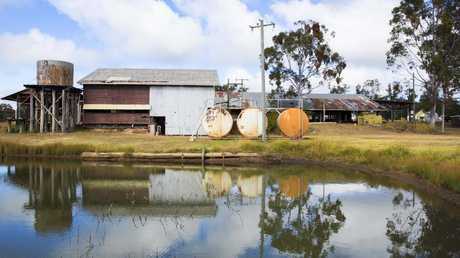 Picture from 2001 when Queensland Sawmills Pty Ltd was still operating at Allies Creek.